I had great fun cooking pizza in the car park of the BBC Radio Scotland Aberdeen Studios during the live broadcast of Out for the Weekend. 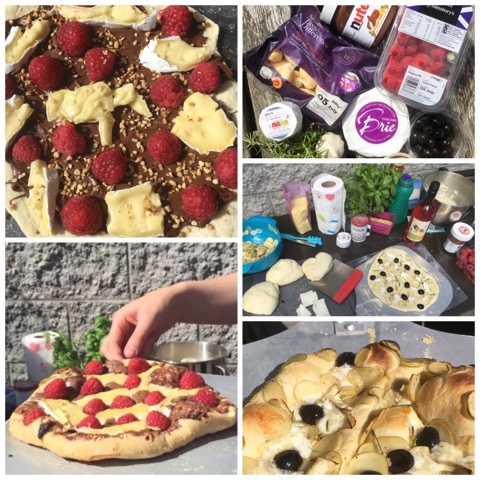 Dobbies provided a Wood Fired Pizza Oven and I proved that pizza doesn't have to be savoury with my Nutella, Scottish Raspberries and Highland Brie creation. 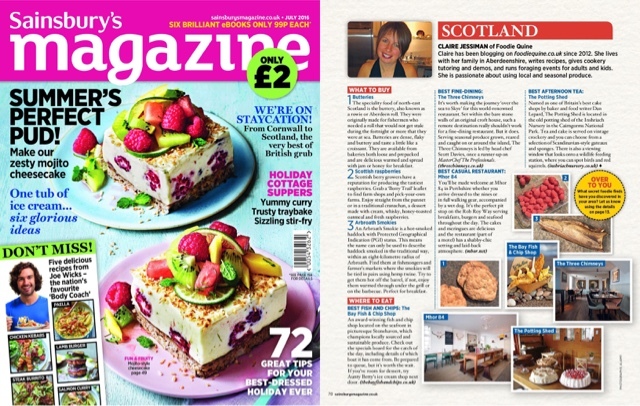 The July issue of Sainsbury's Magazine included my foodie guide to a Scottish Staycation featuring Butteries, Raspberries, Arbroath Smokies, The Three Chimneys, The Bay Fish & Chips, The Potting Shed Cake Shop and Mhor 84. 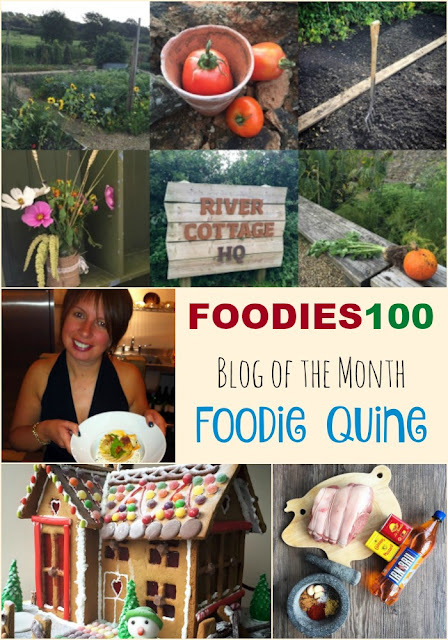 Read the full article and listen to my radio podcast at Scotland Staycation - What to Buy & Where to Eat. I really didn't quite know what to expect with a visit to Aberdeen's The Cat in the Window Cafe but both my kids were super keen to go so I gave in and booked an hour long session of 'Kitty Cuddles'. Lovely setting, fab kitty-ccino and a good selection of cakes (including GF and vegan). 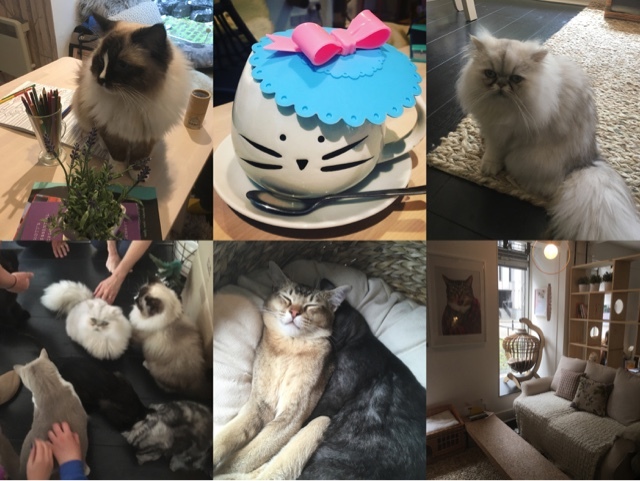 As a total sceptic I was completely smitten by the amazing cats and their wonderful personalities. They are the absolute stars of the show and their welfare clearly comes first. A purrfect afternoon! 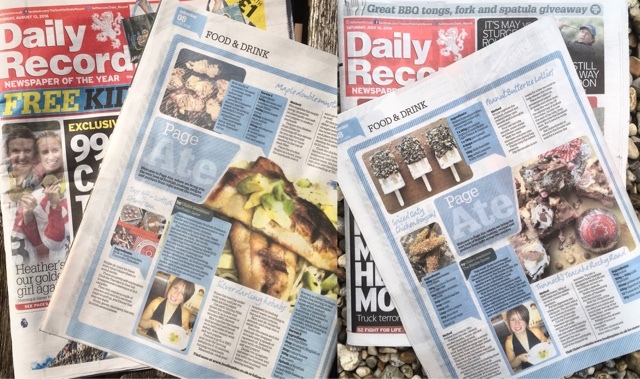 I was fair chuffed to feature twice on Page Ate of the Saturday Daily Record Magazine. 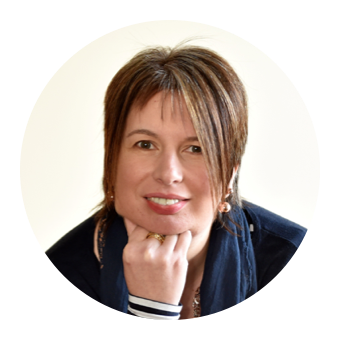 Firstly with three recipes all perfect for making with the kids over the summer holidays then again with three barbecue recipes. 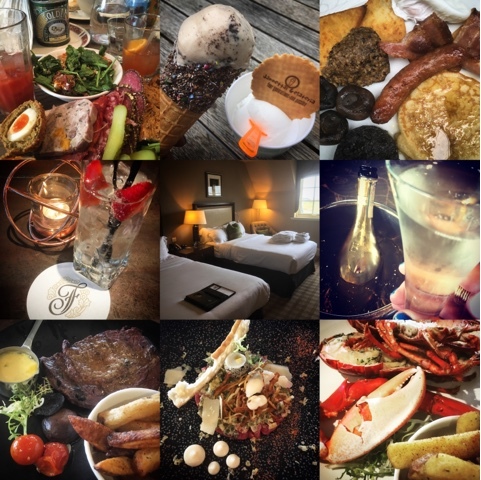 We enjoyed a lovely weekend in St Andrews staying at The Fairmont Hotel And Spa. We lunched at Forgan's followed by ice cream at Jannettas Gelateria and a wonderful dinner of Scottish Steak and Seafood at St Andrews Bar and Grill. Thanks must go to fellow blogger Mess in the 'Ness for the recommendation to visit Wester Hardmuir Fruit Farm. 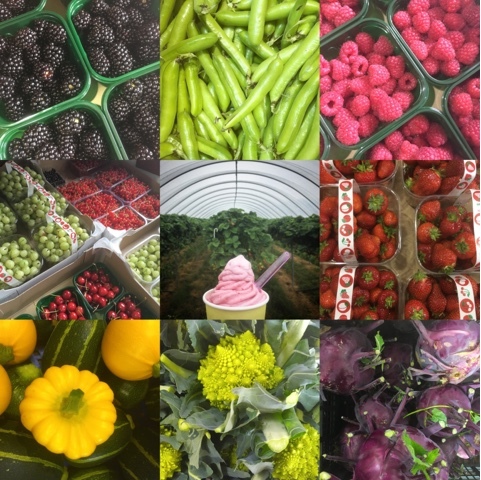 We managed a couple of trips whilst journeying on the A96 and enjoyed wonderful Very Berry Ice Cream and amazingly colourful PYO fruit and vegetables. Absolute highlight was the purchase of an elusive Spaghetti Squash. Although I'm now desperate to find a source closer to home. 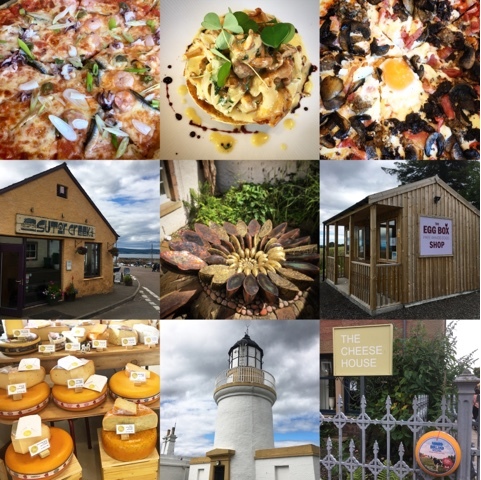 Spent a fantastic foodie day in Cromarty on The Black Isle. First stop was The Egg Box Shop overlooking the Cromarty Firth which takes the farm gate honesty box to the next level with egg vending machines. Milkshakes and Ice Cream at Couper's Creek, Cheese from from The Cheese House and Chanterelles and Pizza at the wonderful Sutor Creek Cafe. 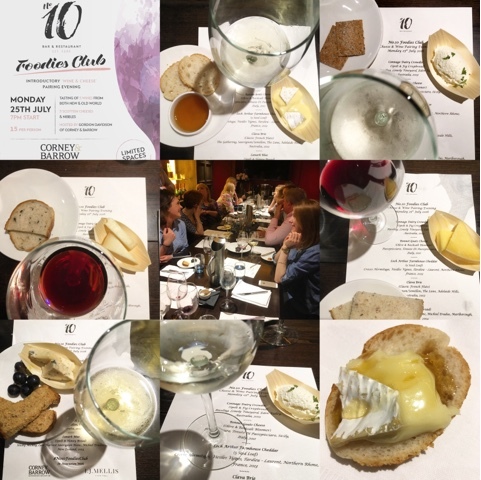 It was a real pleasure to attend the inaugural No.10 Bar & Restaurant Foodies Club event. A wonderful selection of Cheese from I.J.Mellis, Wine from Corney & Barrow and Breads from The Bread Maker. I was even converted to liking Honey! (with the addition of truffle oil). Already looking forward to the next event. Email info@no10aberdeen.co.uk to be added to their mailing list. 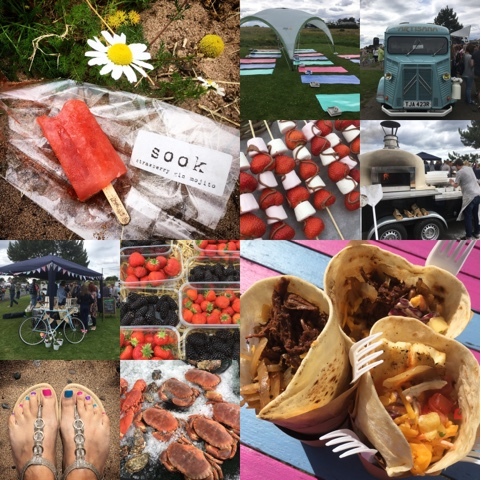 A fantastic time was had at the CALA Homes summer event. Supping CALA Cosmopolitans in the stunning top floor apartment of their Parklands development in Aberdeen. 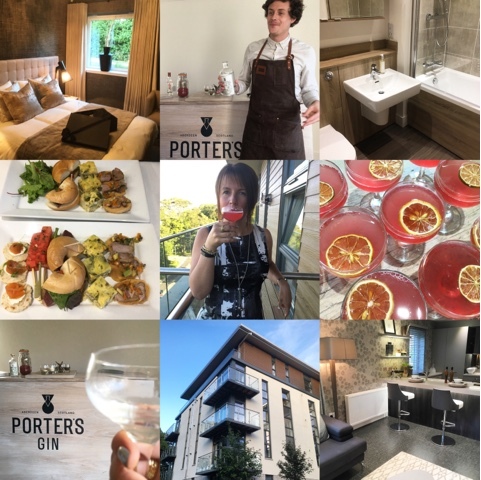 Nibbles, sunshine, music, home fragrance, wonderful views and a Porter's Gin tasting. When can I move in? A quick overnight trip to Edinburgh saw us staying at the conveniently located Novotel Edinburgh Centre. 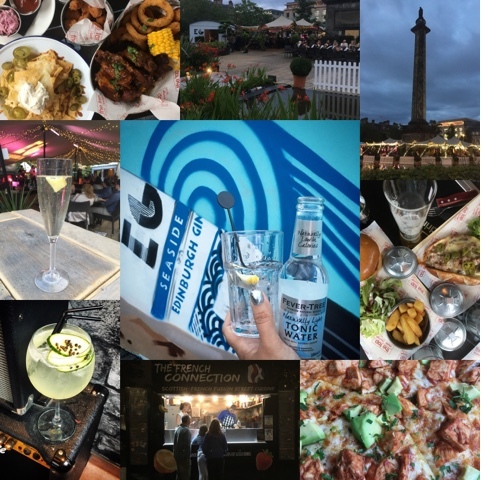 Fab food at The Tap Music Lounge followed by Gin and Fizz at The Stand in the Square and late night crepes at The French Connection Creperie in the Grassmarket. I had the pleasure of attending an Italian Aperitivo training event and drinks reception at Rye & Soda hosted by Gruppo Campari. 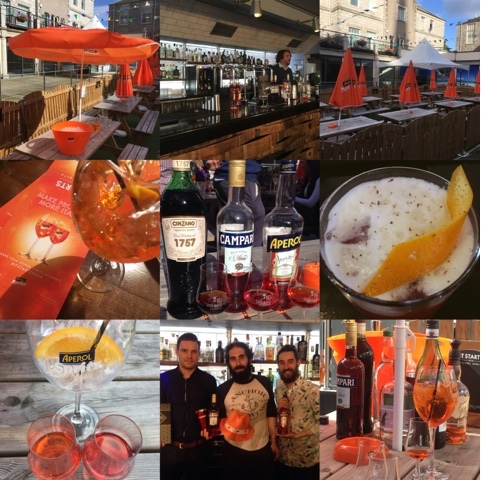 Great fun was had learning all about iconic brands Aperol and Campari. Somehow, along with Julia Bryce of Just Julia, I ended up on the judging panel of the Campari Cocktail Competition! Congratulations to the winner Paul from The Chester Hotel and runners up AJ from Jam Jar and Elias from Rye & Soda. 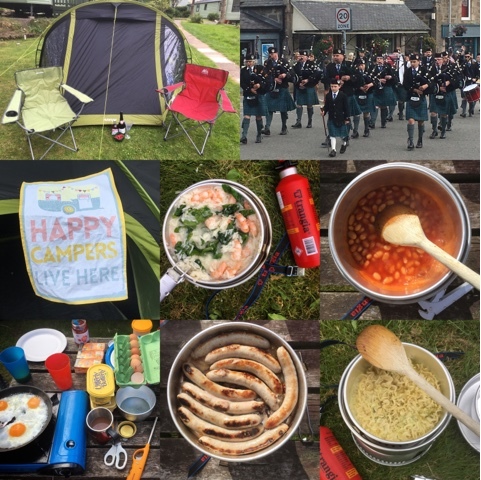 The final event of the summer holidays was the Mud Pies and Foodie Quine Blaeberry Bash. 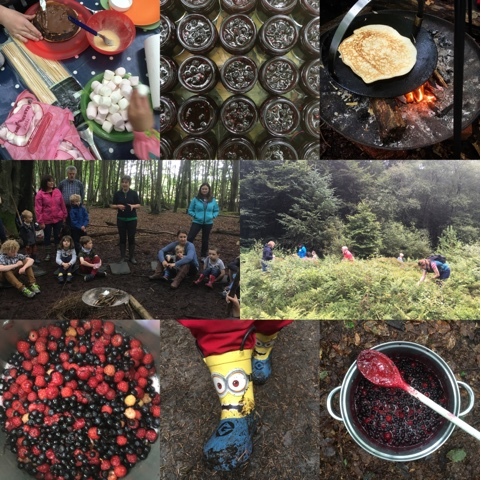 80 folks joined us to squelch in mud, pick berries, toast marshmallows and make pancakes. Lots of outdoor fun was had and everyone went home with their very own mini jar of Woodland Berry Jam. To be first in the know about future events sign up for the newsletter on the Mud Pies Website. Autumn Bramble Ramble and Festive Food in the Wood will be here before I know it! Disclosure: I was a guest at the No. 10 Foodies Club, CALA Homes Summer Event, and Gruppo Campari Aperitivo Training. Accor Hotels provided our dinner, bed and breakfast whilst in Edinburgh. All other summer adventures were at our own expense. I've heard that lots of good things go on at the Oddbins in Rosemount. Might see you at the next No 10 event. You've packed an astonishing amount in Claire and it all sounds like great fun. And congratulations on your achivements, it's good to be recognised. Thanks Choclette. It's sure been a busy summer! Thanks Camilla. You would LOVE the cat cafe! Sounds like a brilliant summer Claire. And those pizzas! Wow! I now NEED a pizza oven in my garden! Thanks Lucy. It's lovely hearing that people have spotted me in the magazine. What a great summer you have had, onwards and upwards! Wow you've had a jam packed summer!!! And check you out getting published in print :D you should be super proud your recipes are awesome! Wish I could say I'd done as much with my staycation as you did. Enjoy Orlando in the autumn! Thanks Emma, So excited for Orlando. 5 weeks today!